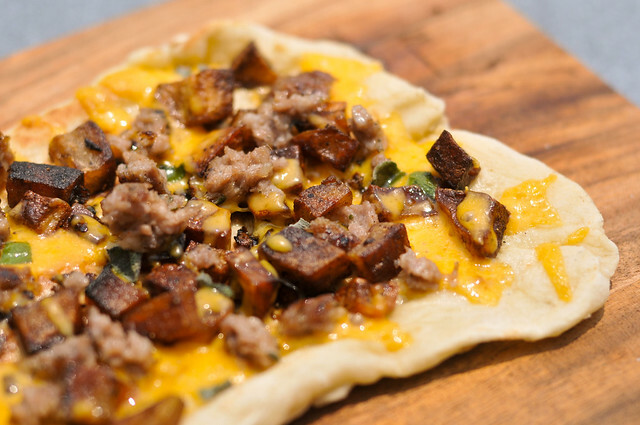 While I have you up and grilling sausages for breakfast, might as well take that a step further and turn those deliciously spiced patties into some extra special, breakfast pizza! 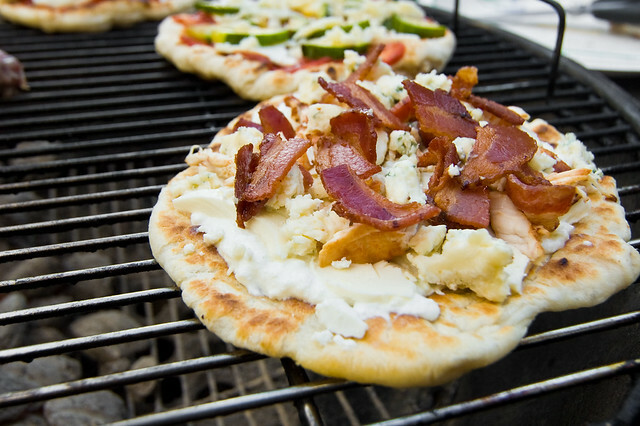 While I was slightly apprehensive about what the results of this might be, it turns out that throwing an entire morning meal onto some grilled pizza dough is not only a great idea, it produces some incredible eats. This pie goes out to BBQ Billy, whose tweet reminded me all of the pizzas I've been grilling, but have never shared. There's a good reason to this, my pizza method has more or less stayed the same since my earliest attempts. 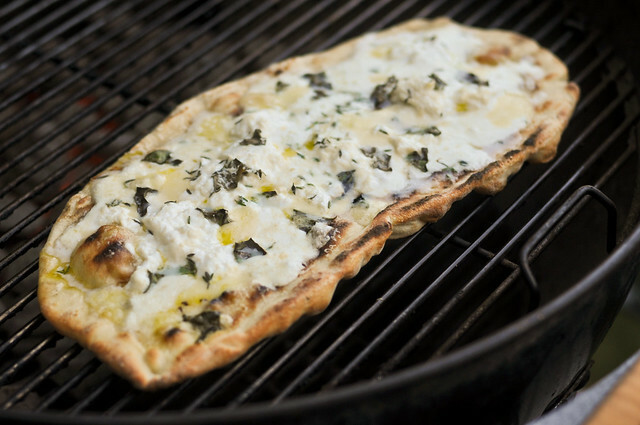 Never-the-less, I've been awash in new pizza creations, and while I may not gleam much more inside in process, I can further tempt your taste buds with beauties like this white pie made with four cheeses, fresh herbs, and olive oil. The Meatwave achieves its goal of spreading the meat well, but it's often difficult to get people into the actual process of grilling. I'm always looking for ways of getting people up out of their chairs and to the grill side, actively involved in making their own food. A lot of what I cook is not well suited for this task, so I'm often my own worst enemy in enhancing the Meatwavers cooking experience, but I made up for this by having a party revolving around what must be the most interactive of grilling activities, pizza making.